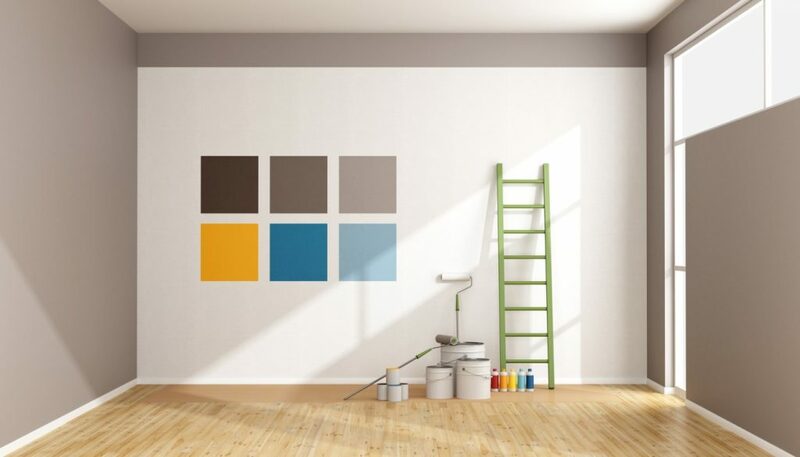 When it comes to paint, there are hundreds of options to choose from. A quick look at the Benjamin Moore color chart can leave you more indecisive than ever before! When choosing new paint for a room, consider other colors in your home. You want to use colors that complement each other to ensure a consistent flow from room to room. You’ll also want to consider the size of the room that you’re painting. Dark colors can enclose a room and make it feel smaller. Lighter neutral colors work best to make a room feel bigger. Paint sheen is also a factor when choosing the best paint for your home. As a rule of thumb, the glossier the paint, the easier it is to clean. Semi-gloss or eggshell paints are ideal for high traffic areas. Your end goal may be to paint your entire house, but, to prepare for the holidays, you’ll want to focus on those rooms that your guests will spend the most time in. The kitchen, living room, family room, and dining room are all popular areas during gatherings. Be sure to focus on these rooms first before moving onto other parts of your house. If you’re looking for a warm neutral tone, consider Shaker Beige. Once all the festive décor is gone, you can enjoy a freshly painted wall! Don’t let the holidays sneak up on you. At Brinkmann’s Hardware, we offer the expertise needed to help choose the best paint for sprucing up your home. No matter if you’re repainting a room or painting the first floor of your home, we’re here to help with all of your painting projects. We offer a wide variety of Benjamin Moore paints, including this year’s top colors! You can even test the color in your home before painting the entire wall with our Benjamin Moore paint samples. Don’t choose any other home hardware store. Come to Brinkmann’s Hardware to give your home a fresh look before the holiday hosting bonanza begins! Contact our Blue Point team at (631) 956-4538.